Multicultural and modern, bustling and beautiful, Manchester is the jewel in the crown of northern England. If you’re visiting but only have a few hours to spare, never fear – with its great tram service and walkable centre, you can get a feel for Manchester with ease. Here are the highlights to seek out when you’re on a time limit. Travellers leaving from Manchester Oxford Road are in for a treat, as the station is directly opposite the lively Gorilla bar. This multi-purpose venue features a kitchen serving up a delicious mish-mash of cuisines, with all ingredients sourced as sustainably as possible. Head up to the mezzanine level to find the Gin Parlour, featuring a diverse and global roster of this popular spirit, and try the house-produced buttered variety for a true twist on the classic G&T. Gorilla is open until at least midnight every day of the week, and cocktails are £5 between 5pm and 8pm – perfect for a post-conference drink before the train home. Pop down to the Teacup Kitchen for some afternoon tea. While coffee is the drink of choice for busy workers everywhere, it’s tea that is Britain’s real lifeblood. 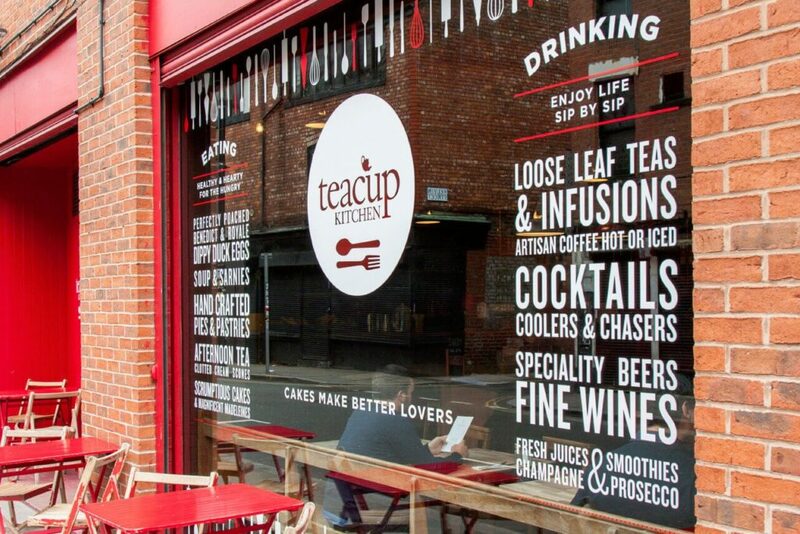 Teacup Kitchen is the place for a pick-me-up when you need a break from rushing around, and it’s mellow vibes make it a great spot for lunch or a sweet bite to eat. There’s a huge selection of teas to pick from, and just as many decadent-looking cakes on offer, so mix and match your snack as you see fit. Try the super dark salted chocolate brownie with a pot of white peony tea, or stick to tradition and get a heart-shaped scone with jam and cream with a Darjeeling Second Flush breakfast blend. Study Manchester Town Hall’s architecture. Ever have the feeling you’ve been somewhere before? 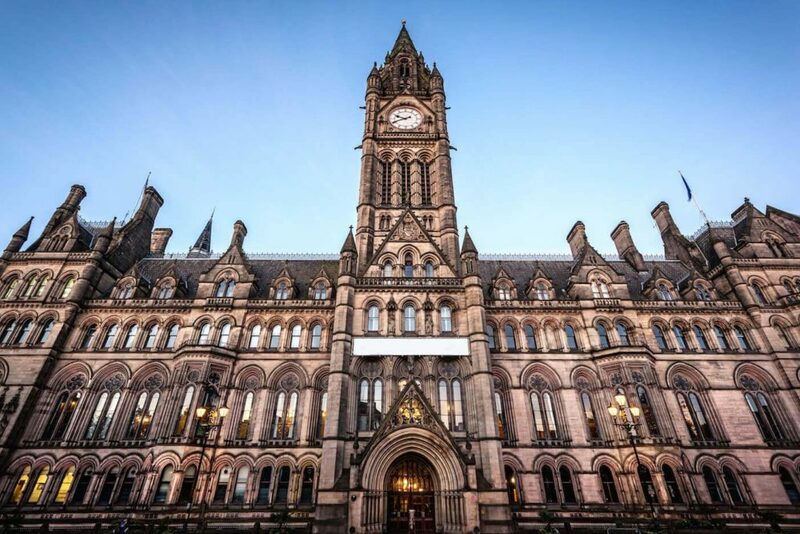 Manchester Town Hall is one of those places that gets used as a double for iconic landmarks, thanks to its grand interior and intricate architecture. The neo-gothic clock tower has previously stood in for Big Ben, while the inside often works as the Palace of Westminster’s stunt double – used in movies like Sherlock Holmes and The Iron Lady. Check out the Sculpture Hall, filled with statues of important Mancunians through the ages. The building is open from 9 to 5 every day, and it’s right in the centre of town on Albert Square – easy to get to from the major train stations. Hunt for treasures at Affleck’s Palace. Despite trying to be anything but, Affleck’s Palace is an institution. It’s an eccentric, eclectic department store like no other, full of shops that sell everything you wouldn’t find on a high street – a place where weird and wonderful collide. Edgy teenagers, bohemian types and enthralled tourists happily mingle in the huge building. 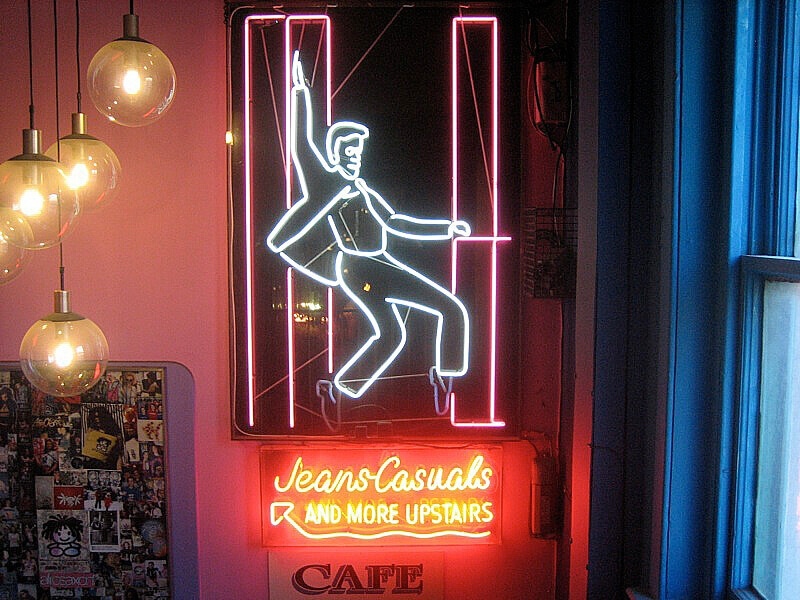 Search out vintage finds at Bearheart or pick up interesting nick-nacks at Querelle’s Curiosities. Go visit the Soundwaves Here We Come shop for all your music needs, buy cruelty-free bathroom products at Soapy J, or join the ​‘Cereal Kult’ at Black Milk cereal café. It’s a testament to Manchester’s irrepressible creative spirit that such an unconventional department store could not only survive, but flourish. 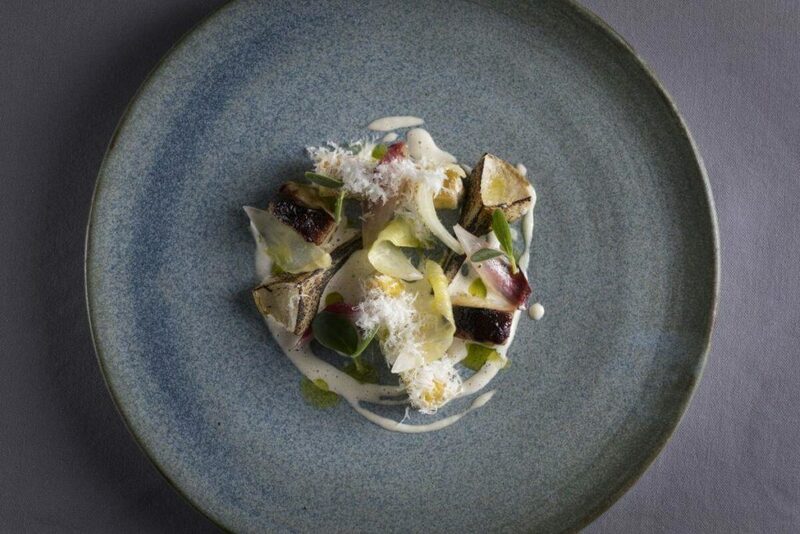 Treat yourself to some Michelin delights. Know in advance that you’ll be in Manchester for a few hours? Book a table at The French, one of the city’s finest restaurants, and a worthy holder of a Michelin star. The food here is – unsurprisingly – French, but it’s got the kind of inimitable quality that makes it okay for this place to call itself The French. Its panelled interior feels both baroque and contemporary, elegant yet welcoming. The inventive menu is all about small plates, inviting you to taste lots of different dishes in carefully balanced proportions. Delicate concoctions like butter poached cod and asparagus sit alongside earthier ones, like crispy trotter and smoked sausage. Leave preconceptions at the door and prepare yourself for a meal sublime. 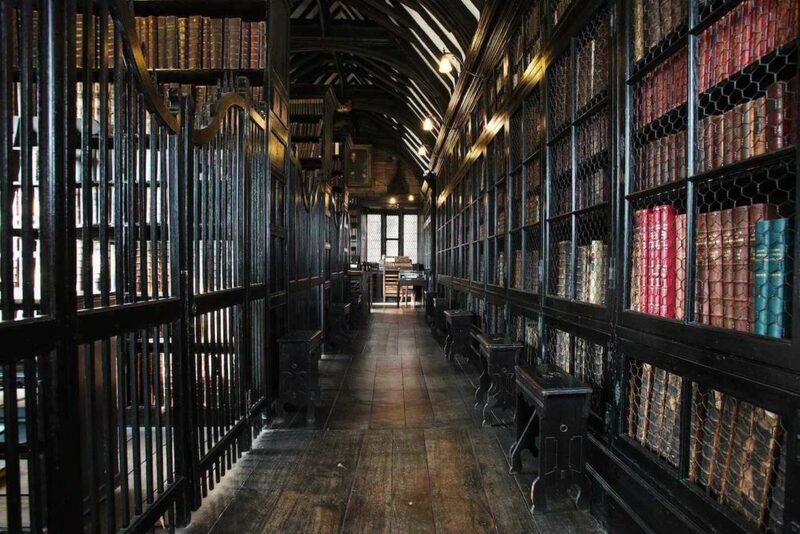 Peruse the Chetham library aisles. This book-lovers paradise is the oldest library in the English-speaking world and has been lending to the public for over 350 years. There’s over 100,000 tomes here, and a staggering amount of history to uncover – it’s got a huge Victorian collection, a building that dates back to 1421, and is the place where Marx and Engels met to discuss politics. It’s also, put simply, incredibly beautiful; Harry Potter fans will feel particularly at home strolling along the dark, atmospheric wooden stacks under beamed ceilings. Due to the library’s popularity, admissions are timed – on the hour in the mornings, and at half-past in the afternoons. Three hours gives enough time to thoroughly soak in the scholarly atmosphere.